Honestly after the Terraria Otherworld fiasco I don't mind them not giving us updates every 10 seconds crap happens when making games not to mention DS isn't the only game they are working on so just give them time unless you want this to end up like Terraria Otherworld. Why not it worked for Kermmit. A new pig man character would be cool I would also like to see improvements to make characters like Willow and Wendy more useful give them some new perks and I'm hoping to new game mechanics as well. I hope this means we are getting a transport update with various things to help transport dupe's, items and other things. I just assume since we got Webber we'll be getting a playable pigman I like the name Wilbert (since Wilbur is already taken) or Waller since it's a pig. Yay can't wait and hope to see more awsome DLC in the future. Not a bad idea I thought they might do large updates every 3-6 months or so I'd be happy with that I'd even be willing to pay for said updates if it were to keep DS going for at least a couple of years. I'm gald to see that the game will still be getting support and I hope the DLC is super fun and makes surviviing even harder. Awwwwww I was really looking foward to the heat wave season maybe it could be a DLC later I'd gladly pay for it. Glad to see you guys are working so hard to keep the game running soomthly as for DLC I can't wait to see what you guys have up your sleave. Caves: Ok, wtf is going on? 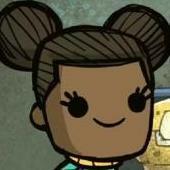 Good call Kevin as for the original poster give Klei time when something is OP they usually nerf it or create a counter to it. Caves are A WORK IN PROGRESS as it states when you go into them. If you don't like the state of caves now then just don't go into them it's just that simple. Yeah I tested this out the first time it was three days the next it was four as long as you don't fight any monster you should be ok.
OMG so funny I love you Klei now I have new fave character along side Wendy and Willow. The curse oh lordy can we has more characters like this XD. Had to log in and out of steam to get it to download. I would like to see Wilson get some more minor perks something that involves science would be good. Maybe he can make things that others can't but if you use said things you loose sanity but they move things along a little quicker. Why Klei hates Wilson, or "a snarky critique of character rebalance"
Caves most likely won't stay that way you know they are A WORK IN PROGRESS as it states when you go into one. I'm assuming that later we will get some kind of cave monster or mobs that will make it harder to survive in a cave like hounds and dearclyops on the surface. I'd like to see bushes replaced with roots like ginger or the like also when there's an earth quake I'd like to see carrots fall from above (level 1 only). 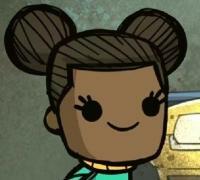 As for the rest of the characters I'm assuming that as more updates come along things will get harder to balance it all out like Klei has been doing so far.